A documentary premiering at the Sundance Film Festival on Saturday promises never-before-heard details about the James Foley story. The 1996 Marquette University graduate was kidnapped in 2012 while working as a freelance journalist in Syria. Two years later, video surfaced showing an ISIS militant beheading him. The video of the execution was seen around the world. “Jim: The James Foley Story” includes interviews with Foley’s friends, family and fellow journalists. There are also interviews with fellow hostages who talk about Foley’s time in captivity. You also get to see some footage Foley took himself. 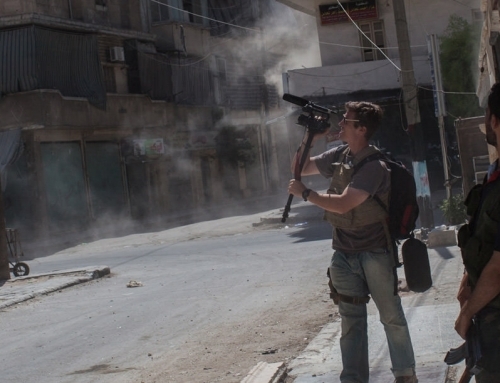 “I believe frontline journalism is important. Without these photos, videos, and first-hand experiences, you can’t really tell the world how bad it might be,” Foley said in one of the clips featured. The Sundance Film Festival started in Park City, Utah on Thursday. It runs through next Sunday, January 31. There are six showings of the Foley documentary. Each has a waitlist. The film will also air on HBO on Saturday, February 6.